Let’s just go ahead and admit it, lunch for kids is usually boring. We need quick and easy so for us that usually means the same thing over and over because it’s fast. Turkey sandwiches, chips, a treat, and a drink. What if I told you, you could become the lunchbox master, giving them something out of the ordinary, that takes very little time. I know you are thinking, this involves chicken salad, that’s not something that can be done quick…wrong! 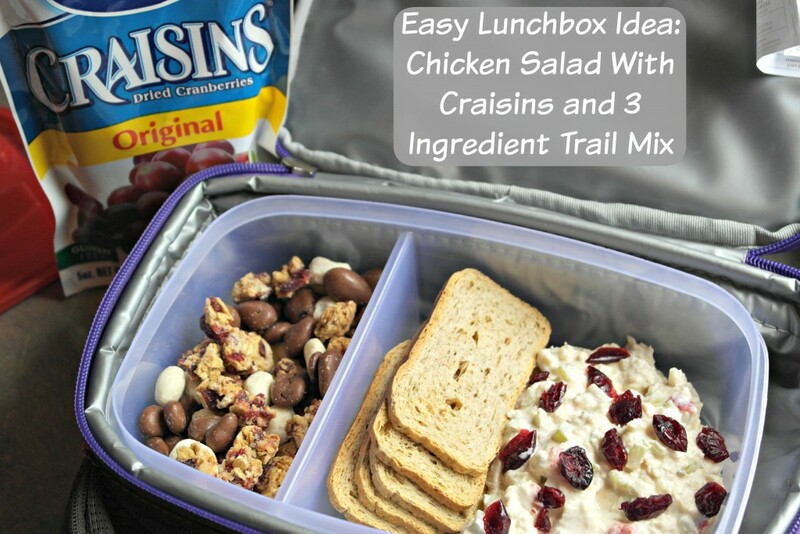 Thanks to Ocean Spray and the yummy Craisin products they sent me, I can send my kids (or husband) with a tasty lunch that is ready in minutes! WIN for us moms! Our mornings are hectic enough because we have two different school times. One that goes from 7:30-1:30 and the others are 9:15-3:15, but I want them to have something other than sandwiches and chips all the time. So I grabbed the Ocean Spray goodies and got to work. As mentioned I wanted something easy, but something good that I know they will eat. So I picked up a tub of Publix chicken salad and in it are chicken, eggs, bell peppers, along with the traditional condiments. To change it up and add a little sweet and tartness to it, I threw in some craisins and voila! A new entree for lunch that they will eat. You can eat it alone, with crackers, or even on bread. I love that it’s something out of the ordinary and ready in minutes. I always like to put a sweet treat in their lunches because I know they look forward to them. 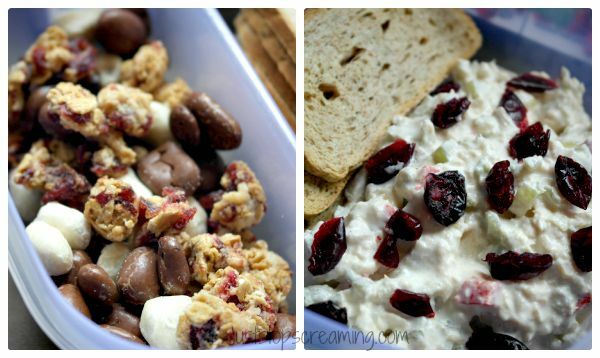 So I grabbed the Ocean Spray Craisins Fruit Clusters (cranberry granola), the Greek Yogurt Craisins, and the Milk Chocolate Craisins to make a simple trail mix. I put them all together in a container and shook it up. After that, I added it to their lunch, and we also now have a great after school snack! Finally, I grabbed a can of the Ocean Spray Sparkling Cranberry. The bubbles mimic that of soda but this has a serving of fruit, no added sugars, and is only 80 calories. So, they get a fizzy drink, and I get peace of mind. I’ll be honest, it took all my will power not to eat the kids lunches, and I love that I can send them to school with a delicious lunch that’s ready in minutes. They are enjoying the change! Back to school is hectic enough, why not make it easier on yourself. 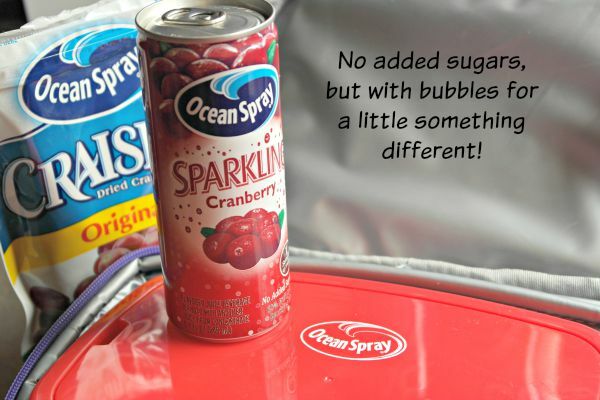 Pick up some Ocean Spray products and get creative! 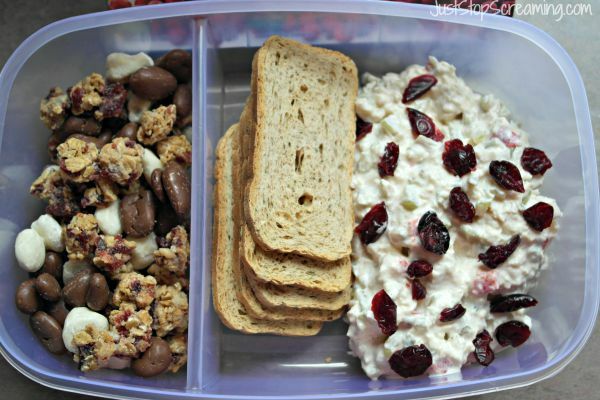 What is an easy back-to-school lunch you have fixed that aren’t your normal, everyday lunches? 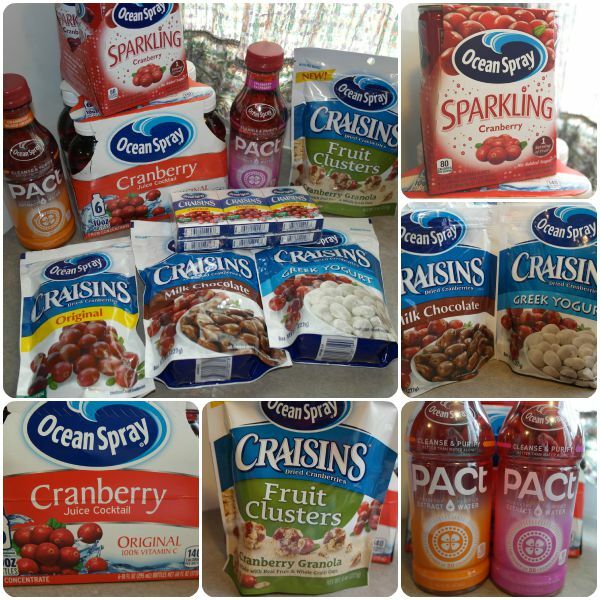 We like the Ocean Spray Sparkling Cranberry., and the Craisens at our house. These are very tasty products and I want to try some of the other Craisen flavors. They look so delicious and what a great idea to put in lunches!